Pusheen loves snacking! Based on the sensational web comic, Pusheen is celebrating a birthday. 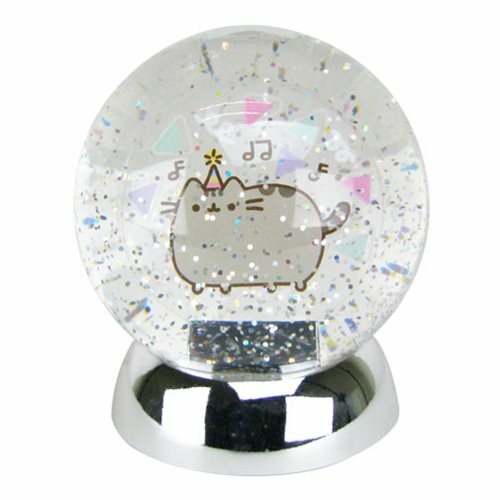 The Pusheen The Cat Birthday Waterdazzler Water Globe is a must have for Pusheen fans. The snow globe is made of plastic and measures about 5-inches tall. Requires 3x "AAA" batteries, included.